This place can change you if you let it. 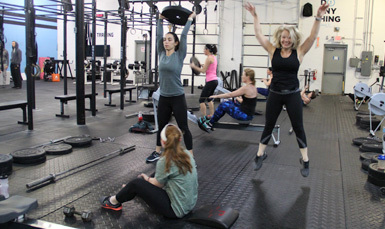 Our mission is to help our members find the strongest, fittest, happiest version of themselves. We don’t want to tell you about 1Force. We want to show you. The hardest part is walking in. Our awesome staff and welcoming community make it easy to feel at home. We’d love to meet you. Getting a new box is like getting a new family. Visit 1Force for a week to see if it feels like home. Programming is not anything. It’s everything. The movements are functional, safe and adaptable for all. More advanced and skill intensive, done on a flex schedule and ideal for experienced athletes who compete or aspire to do so. Come meet our team. Kids need to move. It keeps them healthy and makes them happy. We hide fitness in their fun. Daily personalized programming designed by our Head Coach to battle each participant’s individual weaknesses and help them reach their personal goals in record time. Focused, intense and effective. 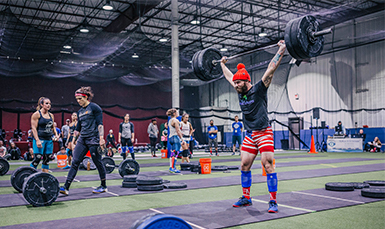 Boot Camp, Barbell Club, and Gymnastics are all included in our monthly membership. More options, more success. Included in membership is 1-on-1 nutritional counseling and team challenges to help you achieve your goals. You can’t out train a bad diet.